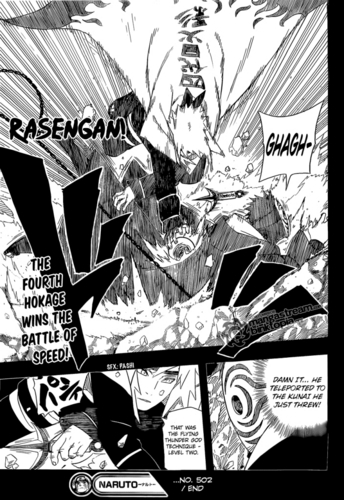 manga 502 Minato vs. Tobi. . HD Wallpaper and background images in the Cuarto Hokage club tagged: minato vs tobi manga 502 madara namikaze hokage yondaime uchiha. This Cuarto Hokage photo contains animado, cómic, manga, historieta, anime, and dibujos animados. There might also be periódico, papel, revista, tabloide, and trapo.